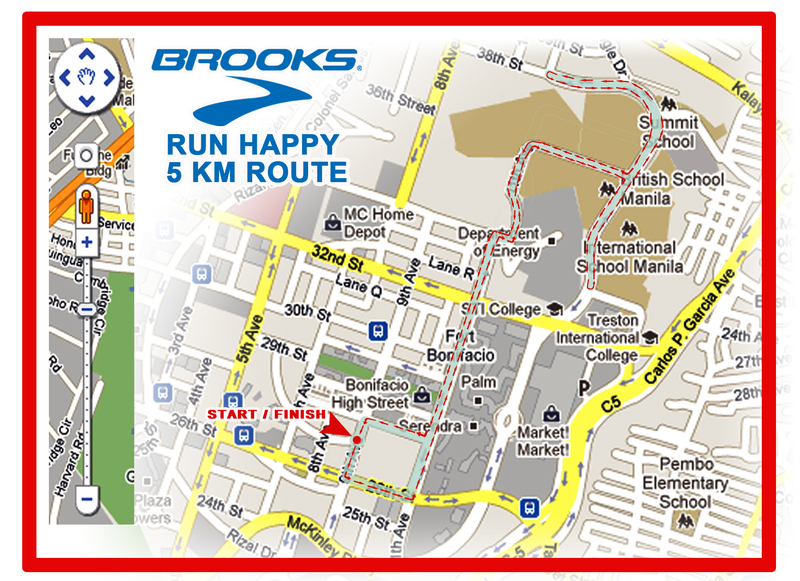 The Brooks Run Happy event will be on May 22 at the Bonifacio Global City. 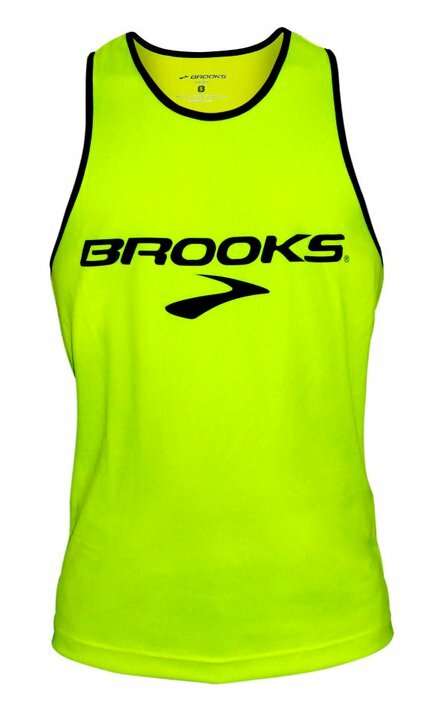 Each kit comes with a race bib, a timing tag and a really nice Brooks original, gender specific singlet. I LIKE! 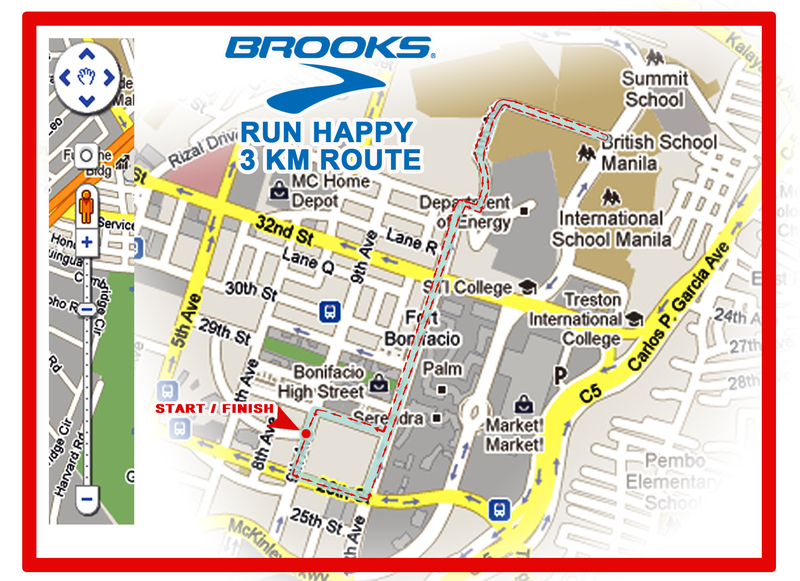 Starting line will be at the 9th street and slots are only limited to 4,000 runners. With Brooks having a run green campaign, it comes to no surprise that they decided to partner with the Quezon Province Livelihood Bldg Project as the event’s beneficiary. This project recycles used PET bottles as a construction material in building structures. 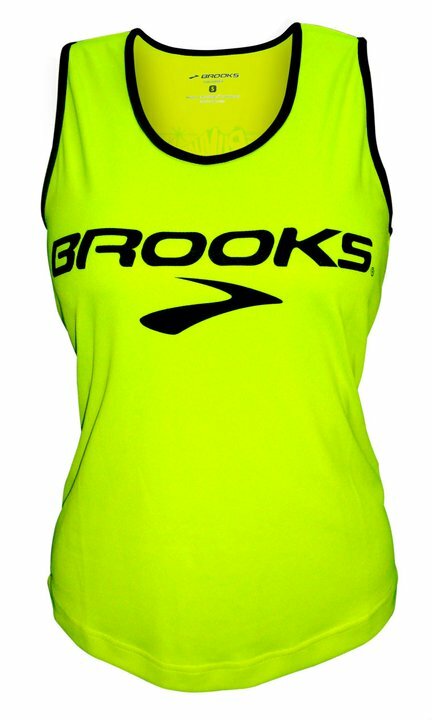 When I was invited to the blogger’s night for this event, last Thursday, I did not expect them to share to us information about the products of Brooks. I was glad they did and it was very informative indeed. 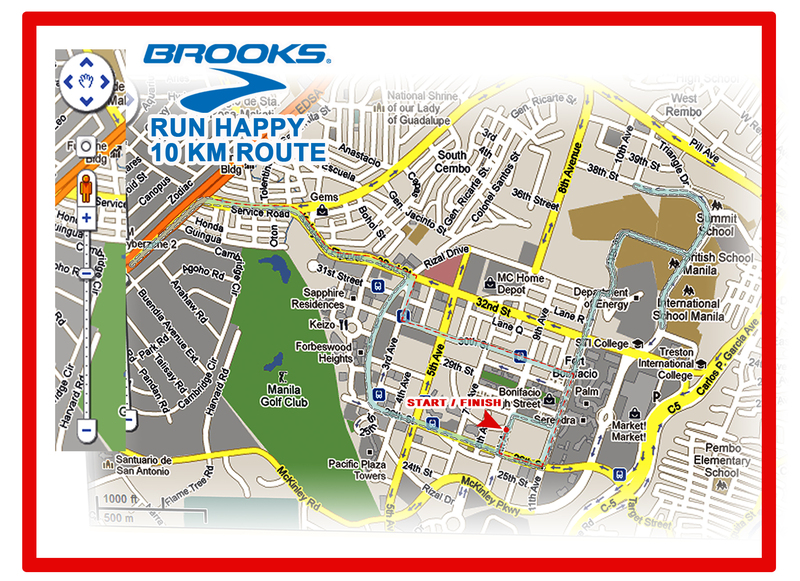 We were told that Brooks is now the number 1 running shoe in the US. 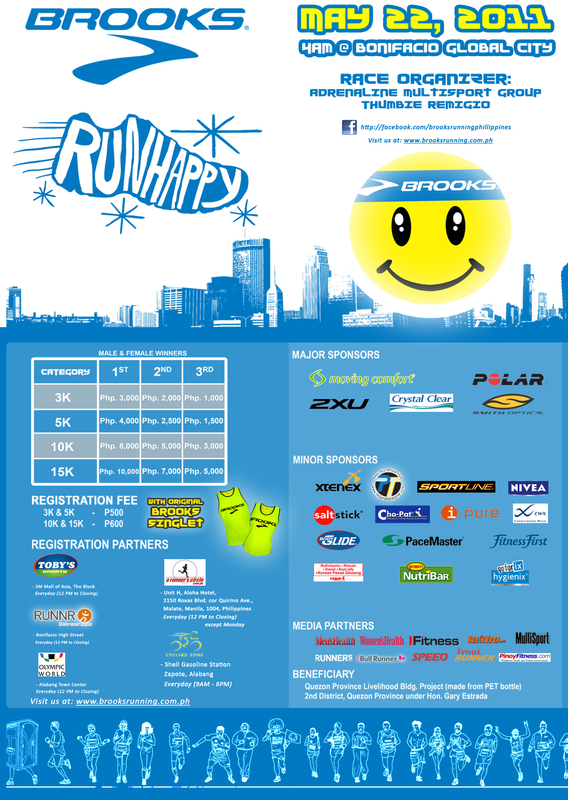 They were founded in 1914 and since 2001 has started to focus in the developing new technologies and innovation for running shoes. I have to admit that I was impressed with their AVPs on how they test their shoes, how their product differs from others, how it decreases our carbon footprint and how they bagged numerous awards from different organizations. While at the launch I was already excited to try on one of the pairs they had on display. I was tweeting: “Brooks DNA Technology rocks! I WANT ONE!”. I prayed hard and tried to picture myself owning one. 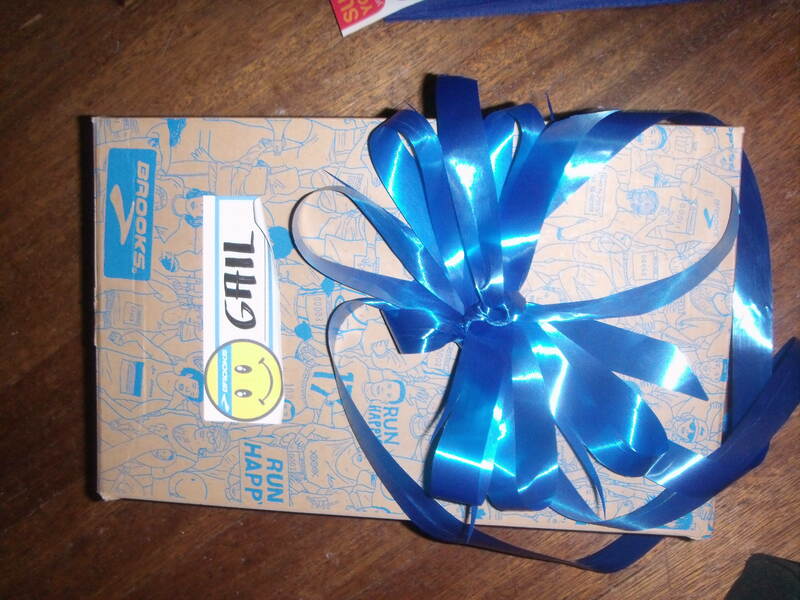 And guess what happened?…. 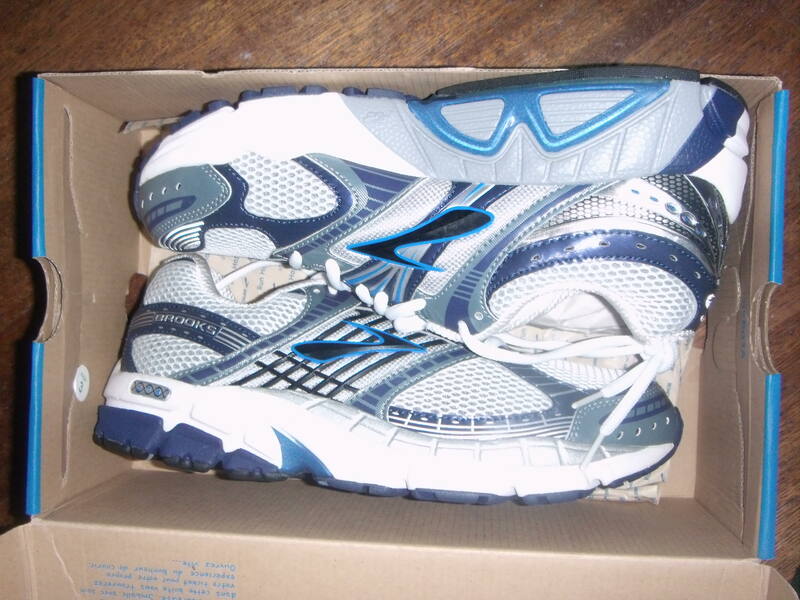 I am blessed to now own a pair of Brooks shoes. God heard my prayers and I won in the raffle. Yay! It’s not my size nor my style but the people behind Brooks Philippines (SRi) was kind enough to offer to change it for me. Double Yay! 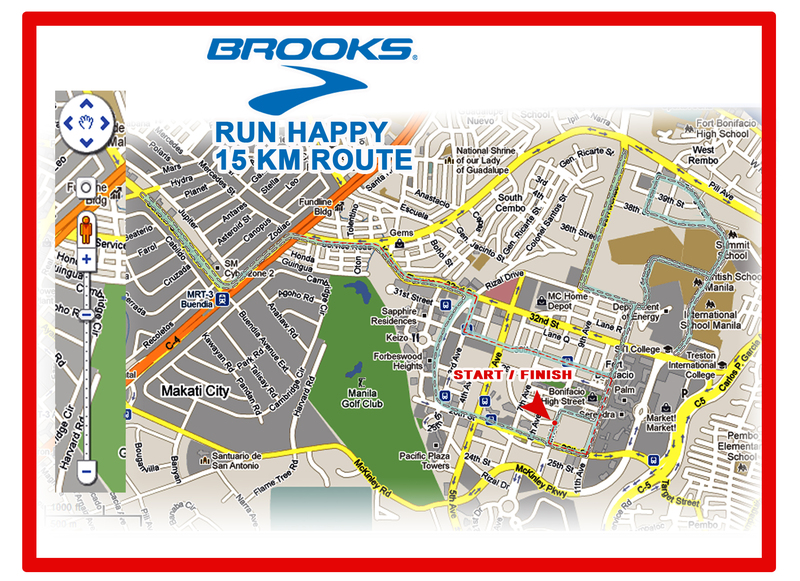 I look forward to running in my new Brooks! It was a fun, fun evening with friends. I look forward to the next time I attend another event.